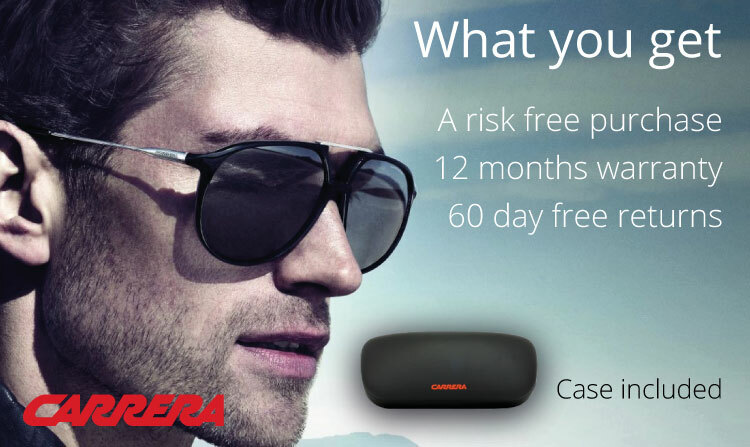 Carrera sunglasses are perfect for active men and women who don’t want to compromise style or comfort. The brand has a racing-inspired history, and was founded by Austrian innovator Wilhelm Anger, who created and patented a new form of resin called Optyl, which is still used today in the manufacture of around 90 percent of all high-end sunglasses, across all brands.You’ll find that many actors, singers, models, and other celebs have chosen to wear Carerra shades over recent years. The list includes names like Pink, Joe Jonas, Katy Perry, Liam Hemsworth, Rihanna, Usher, Nicole Scherzinger, Jay Z, Brad Pitt, Alicia Keys, Justin Timberlake, Lady Gaga, Kanye West, Ashley Tisdale and Jared Leto.